United Mint Campus is set to be a part of the 10th Anniversary of celebrating the successes and impact of entrepreneurs. During the week of November 13-19, 2017, United Mint Campus will lead workshops and facilitate panel discussions that support and connect entrepreneurs in the USA, Spain, and the United Kingdom. The world needs entrepreneurs – the doers and makers of things – but not all ecosystems enjoy the entrepreneurial culture that is prevalent in startup hubs like Silicon Valley, Singapore, and Tel Aviv. Enter Global Entrepreneurship Week. 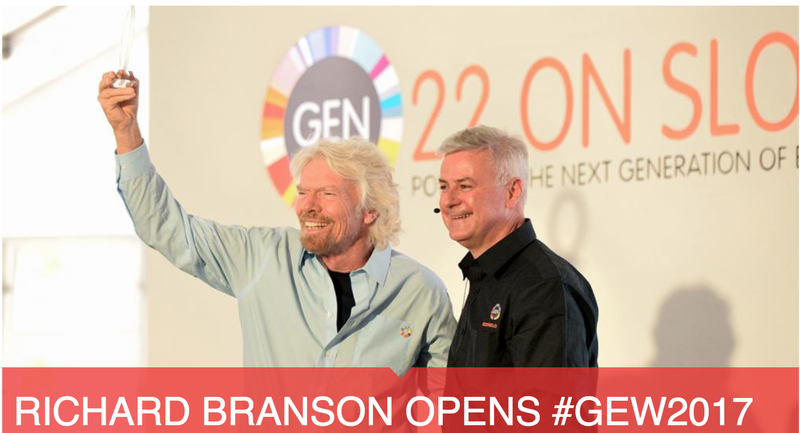 Richard Branson Opens #GEW 2017 photo courtesy of GEN. In an effort to help break down cultural barriers and reach new audiences, expanding the number of people who at some point in their life become an entrepreneur, Global Entrepreneurship Week was created. There are sessions all over the world simulcast that celebrate, support, and connect entrepreneurs. United Mint Campus is thrilled to be a part of the 10th Anniversary of celebrating the successes and impact of entrepreneurs. During the week of November 13-19, 2017, United Mint Campus will lead workshops and facilitate panel discussions that support and connect entrepreneurs in the USA, Spain, and the United Kingdom. To embrace the mission of connecting entrepreneurs around the world, one of our workshops: Break Through The Clutter: How To Map Your Success will be delivered as a hybrid: in-person and online as a webinar. 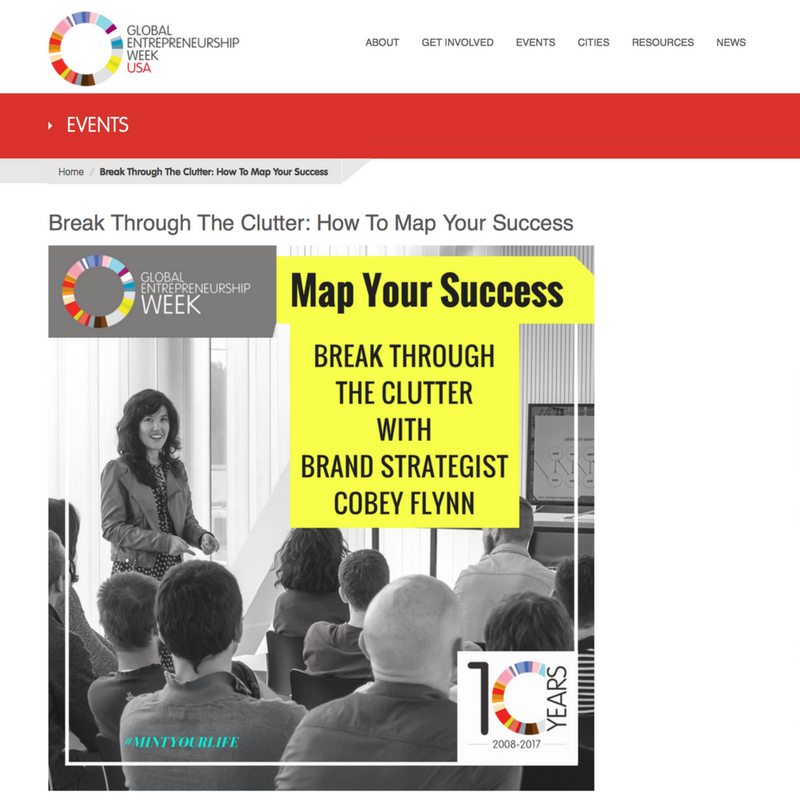 Join Brand Strategist, Innovation expert, and United Mint Campus Global VP, Cobey Flynn, as she takes you through how to make your life as an entrepreneur actionable using the “Mission Map” tool. The “Mission Map” is derived from an award-winning Brand Launch Strategy. The “Mission Map” allows you to break through the clutter, enables you to focus on the most important milestones, and gives you a roadmap to accomplish them. This event has passed, sign up here to get a re-play sent to your inbox.